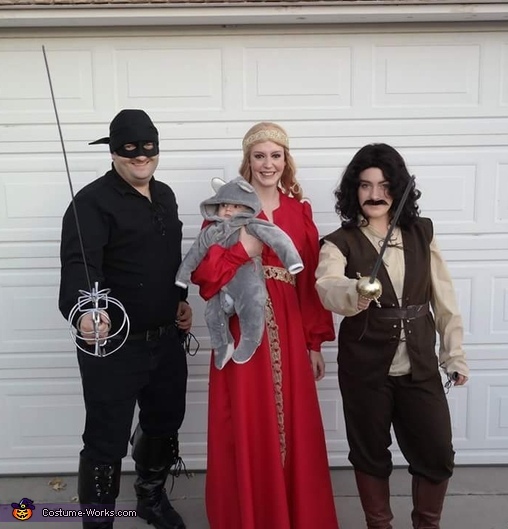 This is our cute little family, me as Buttercup, my husband Ryan as the Dread Pirate Roberts, my sister in law Sarah as Inigo Montoya, and my son Kingsley and my dog Elsa as rodents of unusual size. We spent a lot of time getting the details just right! The red dress is hand sewn! And I crocheted my dogs mouse ears. The rest of the items we spent a lot of time buying from many different locations.